Mobile multiplayer Minecraft could be a very dangerous thing. 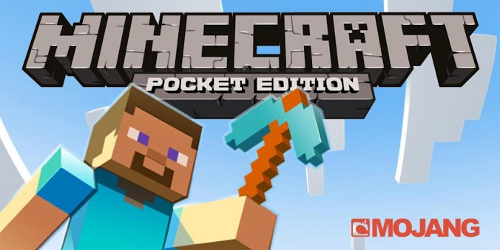 If you've been pecking around with Minecraft: Pocket Edition these past few years, you've probably noticed one major feature has been missing: co-op play. Ok, so there are a lot of features missing from Minecraft mobile when compared to the desktop or Xbox 360 versions, but co-op is a key component to building things like a 1-to-1 replica of old Rome or a rollercoaster ride inspired by the Beetlejuice cartoon. Every grand project needs willing slave workers. Just ask the ancient Egyptians! The latest update to Minecraft: Pocket Edition includes beta support for Realms, Mojang's official solution for multiplayer Minecrafting. It seems a little shaky so far, but it shows a lot of promise for the future of virtual block worlds on your phone. Some players are having a tough time connecting to Realms, which could be a simple server overload issue. That, or Ender Dragon hates you. Right now Realms is completely free. Once it's released it will be an optional paid service for both mobile and desktop Minecraft players. A service most players will happily indulge themselves in.